70% of local 3rd graders can’t read on grade level. Without intervention, these Greater New Orleans area students will not succeed. Illiteracy is closely linked with high school dropout rates, incarceration, increased poverty, and poor health. The outcome of providing early intervention is consistent for STAIR - an average increase in student performance by 98% and 2 reading levels. You can be a part of the solution. STAIR can’t exist without the support of friends like you. Let’s make it official - become a Friend of STAIR. You may also gift a Friend of STAIR. Together we can build a stronger community. Donate $1,000 and be part of a Giving Circle. Giving Circles are made up of 12 donors that sponsor a tutoring site for a school year. How can I become a Friend of STAIR? Online, Call STAIR New Orleans (504.899.0820) to pay with a credit card over the phone, or visit STAIR Offices at 1535 State Street, New Orleans, LA 70118 - Please ring the doorbell on Benjamin Street. Friends can pay in full (one payment) or in 12 monthly installments (Installments are available for credit card payments only, and are charged on the day of the month you first donate). Can I sign up anytime to be a Friend of STAIR? To become a Friend of STAIR, sign up between April 1, 2019 - June 30, 2019. Friend of STAIR is an annual commitment. What benefits do I receive as a Friend of STAIR?  As a Friend of STAIR, you are ensuring that STAIR can continue to provide free one-on-one tutoring to elementary students at-risk of academic failure. Friends of STAIR will receive advance notice of programs and special events planned by STAIR. Friends of STAIR will be listed on the STAIR website, annual report and newsletters (unless requested to be anonymous). Can I gift Friend of STAIR? Yes, Friend of STAIR makes a great gift. When signing up, please let STAIR know if it’s a gift in honor of someone else so that we can notify them. Can a Friend of STAIR be a child? Yes. Friend of STAIR welcomes all ages. How do I upgrade from a Friend of STAIR - Silver to Friend of STAIR - Gold or Friend of STAIR - Platinum? The cost to upgrade is the difference in the donation price. If you have a question about Friend of STAIR, please call 504.899.080 or email friends@stairnola.org.